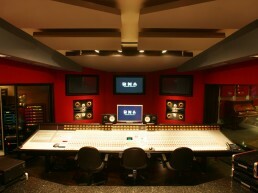 DNA Studios | Pilchner Schoustal International Inc. 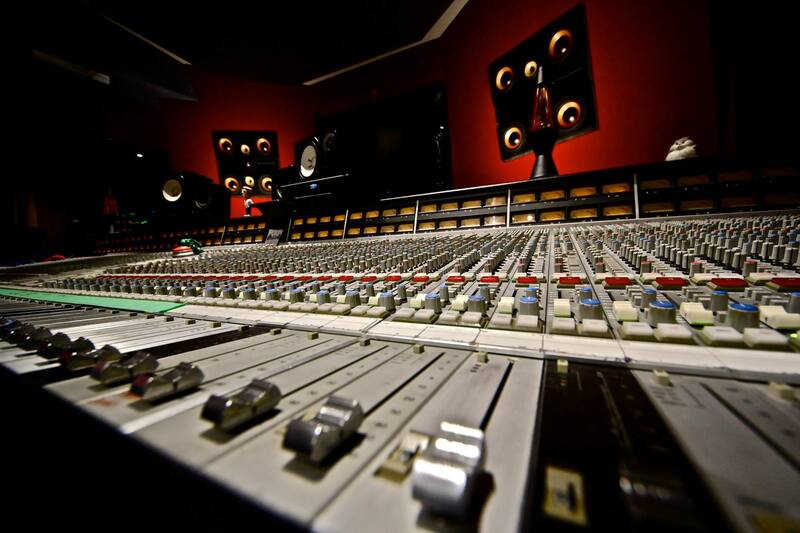 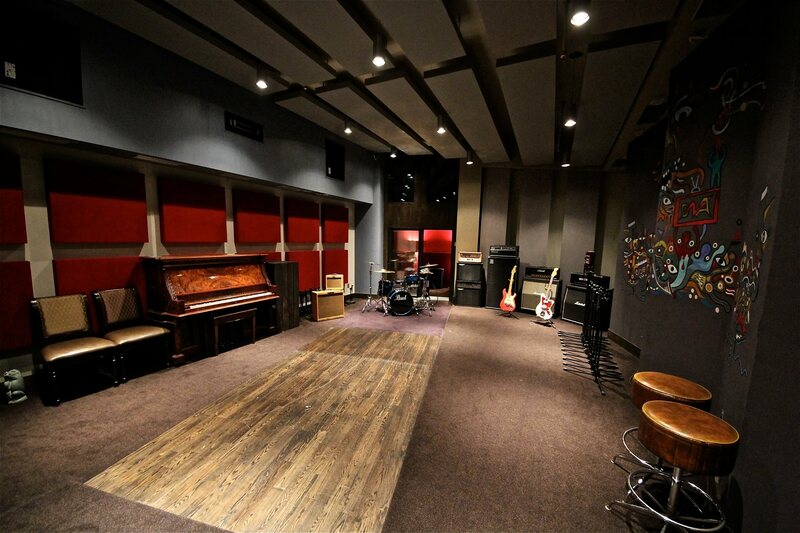 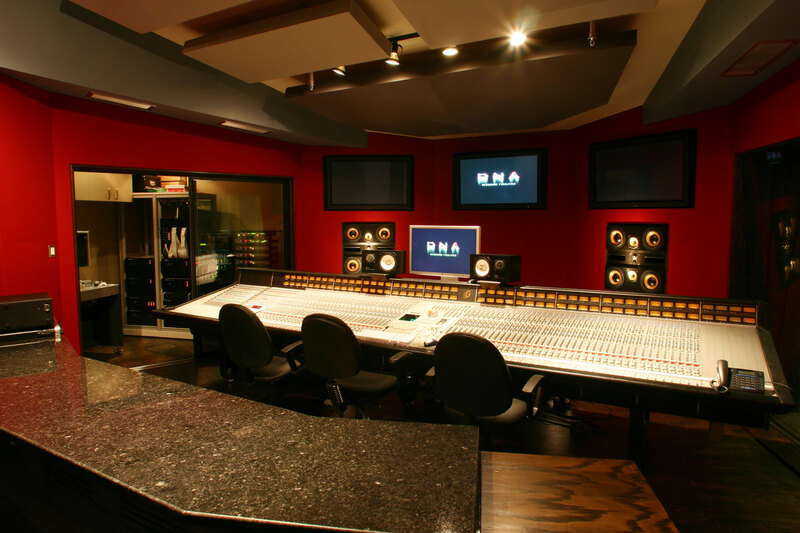 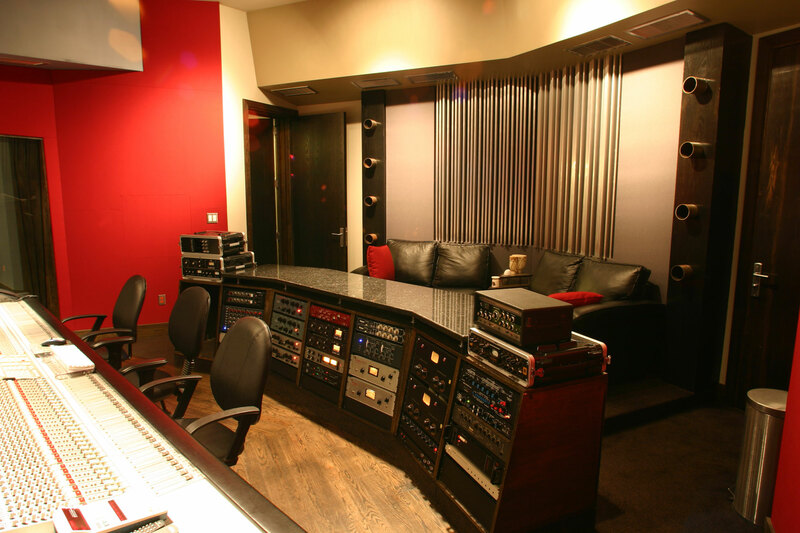 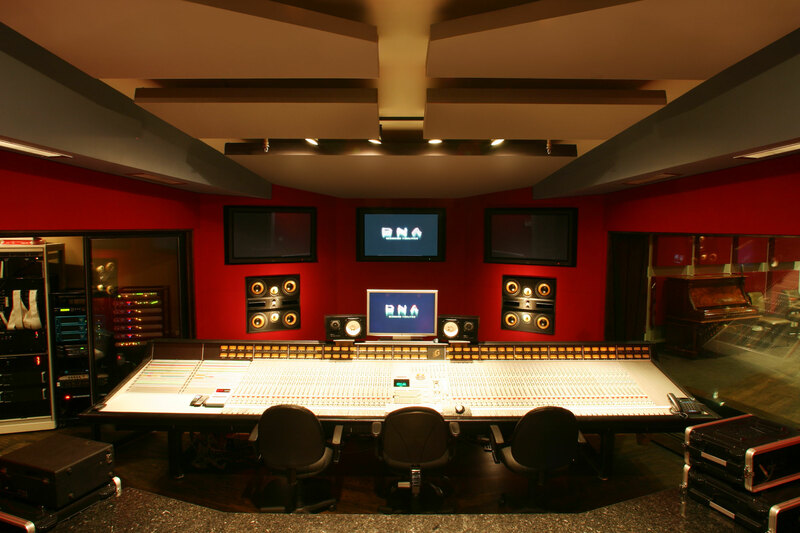 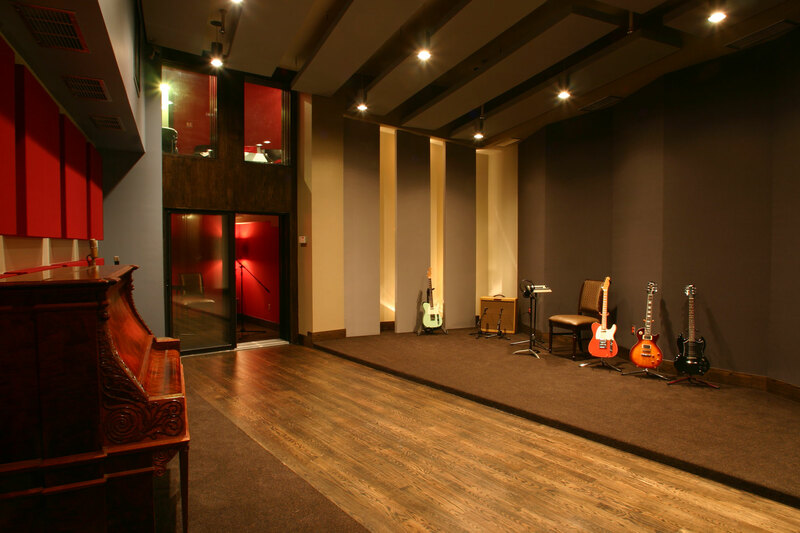 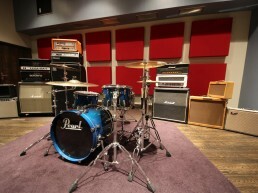 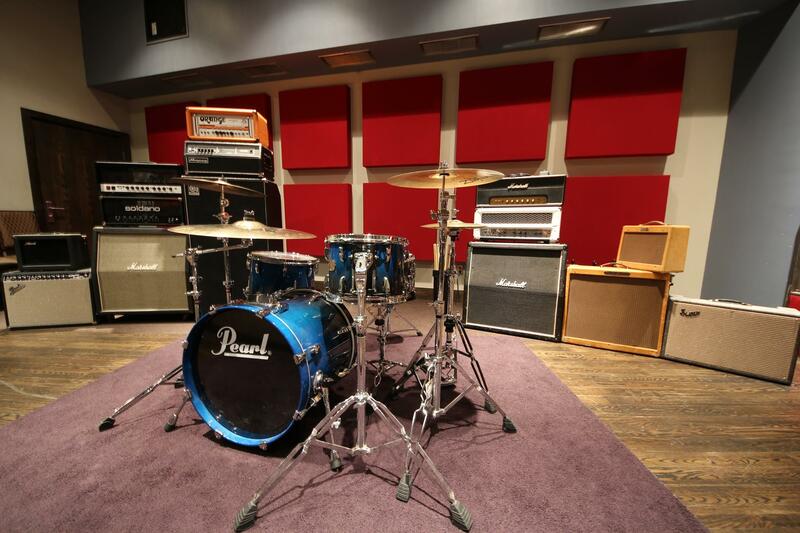 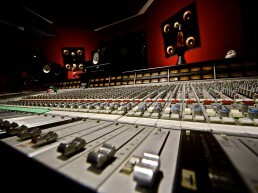 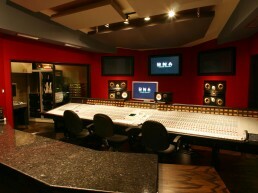 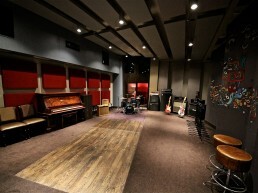 This music recording facility features a large control room and studio proper. 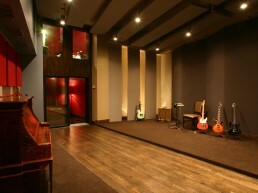 The studio proper features an isolation booth with a gallery window above which allows a top down view of the studio floor from the private lounge above. 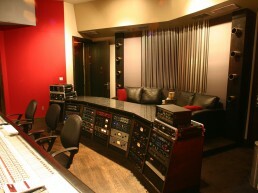 A machine room flanks the control room to the left and the studio proper window to the right.